Last year’s Thanksgiving adventure for astronomers happened when Comet ISON passed within 1.2 million kilometres (750,000 miles) of the Sun. While many people were hoping the comet would stick around and produce a good show, the comet disintegrated despite a brief flare-up shortly after passing perihelion. 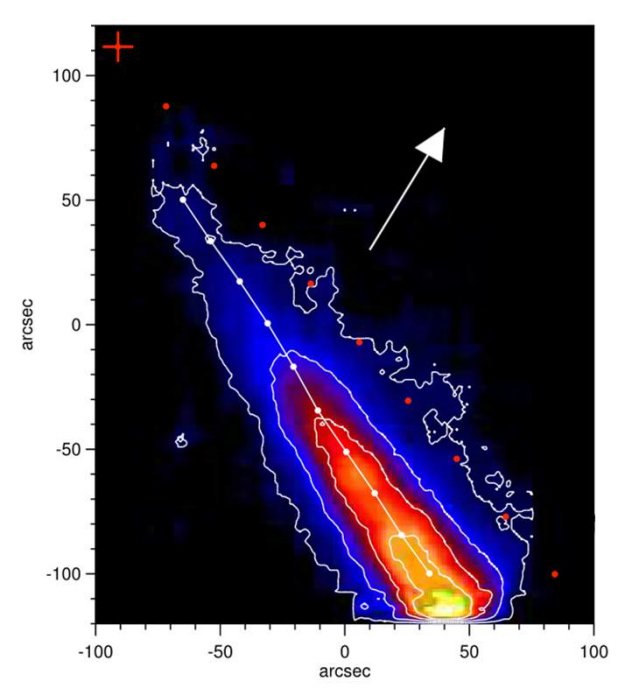 Scientists have just modelled the production of dust on the comet and concluded there was a “violent outburst” that happened 8.5 hours before closest approach, when the comet spewed out 11,500 tonnes (12,765 tons) of material. Because the last few parts of the comet’s encounter were obscured by an occulting disk on the Large Angle and Spectrometric Coronagraph on the Solar and Heliospheric Observatory (SOHO), astronomers decided to model the encounter based on other data they gathered before and after. hey switched modes on the instrument and captured the tail in far ultraviolet light, light “emitted from the solar disc and reflected by the dust particles into space,” the European Space Agency stated. Then they compared what they saw with computer simulations, coming up with the dust estimations. The paper is available in the journal Astronomy & Astrophysics and also in preprint version on Arxiv.